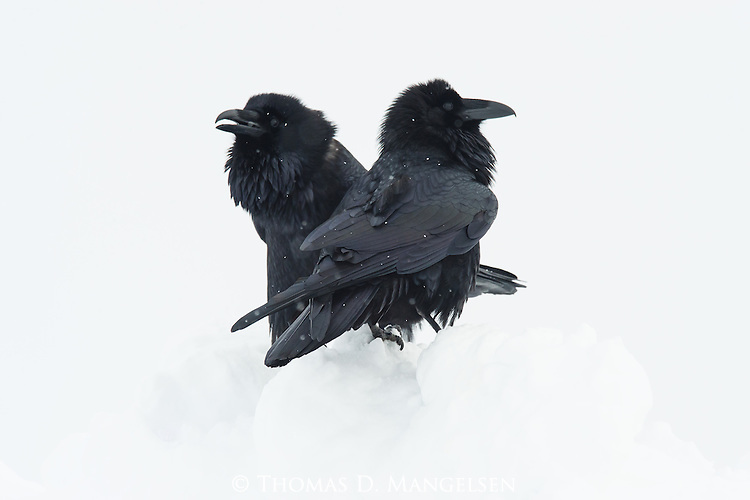 Though the scene belies any sense of the upcoming spring, this raven pair doesn’t let the snow deter them from their courting rituals. Mating for life, the courtship of ravens is fairly complex. In order to impress a mate, the potential suitor must demonstrate their intelligence, perform aerial acrobatics, and display a remarkable ability to provide food. Once the bond has been made, the pair must first establish and defend a territory before beginning to build a nest and raising the next generation of intelligent scavengers.